FREE Sample of Amsety Liver Health Bar! You are here: Home / food / FREE Sample of Amsety Liver Health Bar! 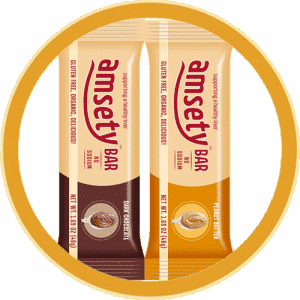 Check out this offer for a FREE sample of Amsety liver health bars! These snack bars contain minerals and vitamins that support the health of your liver. To get 2 FREE Amsety liver health bars, enter your mailing information and submit your request. Your FREE Amsety bars should arrive soon after your request is submitted.